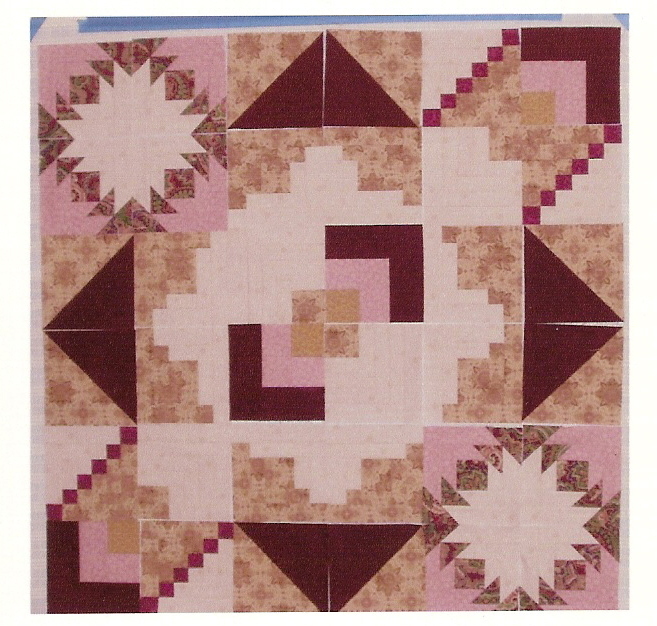 Have you ever been given instructions for specific block piecing, but not the full resulting pattern? sounds like a mystery, right? I'm about to show you two quilts, both made with the same type and number of blocks. 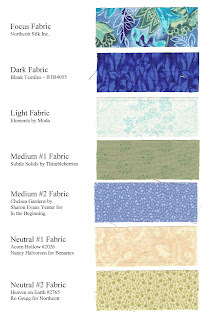 The first instructions were to select a focus fabric and then a dark, a light, 2 mediums and 2 neutrals. These are the ones I chose. Next came instructions to make a specific number of blocks, for example 8 HST blocks, 4 log cabins, 8 LC variations. 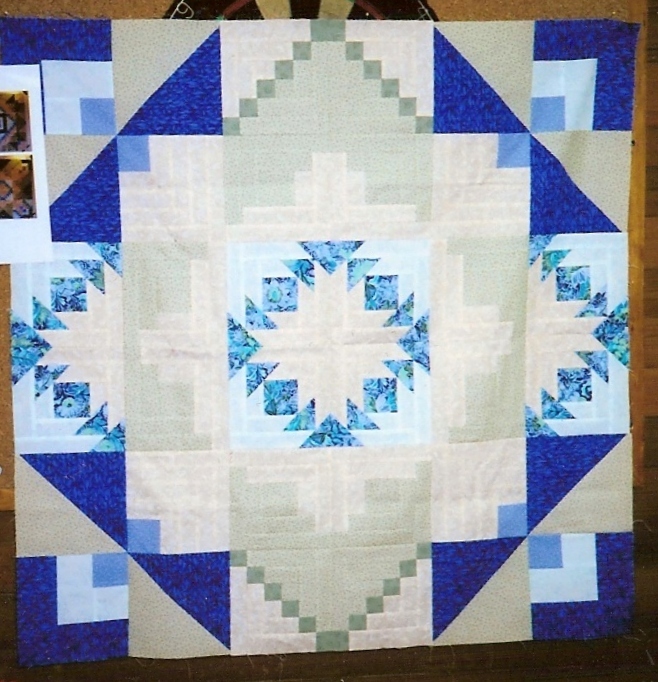 Once the blocks were made, we were told to put them together in a quilt. What? Without a pattern? That was the point of the challenge. 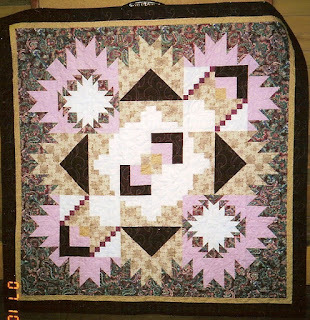 We were not given a pattern for what the full quilt was to look like. Here is the first setting that I came up with. 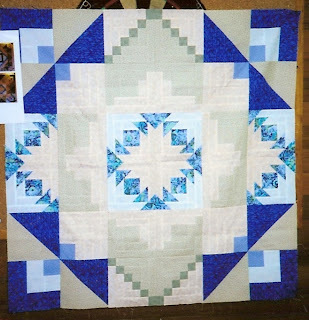 When pieced together, the quilt was not quite big enough for a lap quilt. I added a Delectable Mountains border to this one making it just big enough to cuddle under when reading a good book. That was fun. 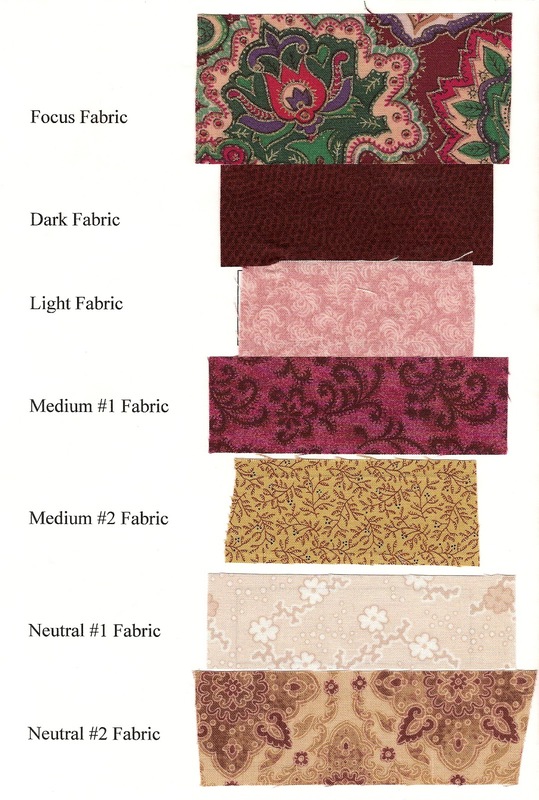 I chose different fabrics and tried it again. 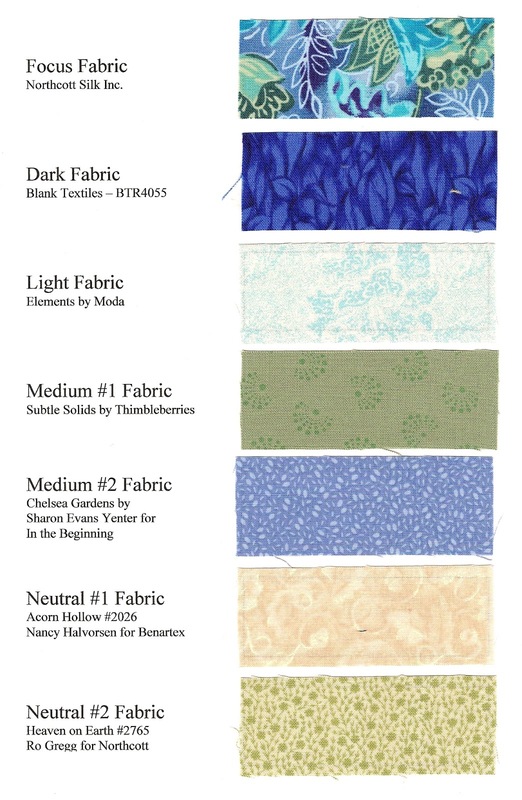 Here is the second group of fabric. So why was this so much fun? 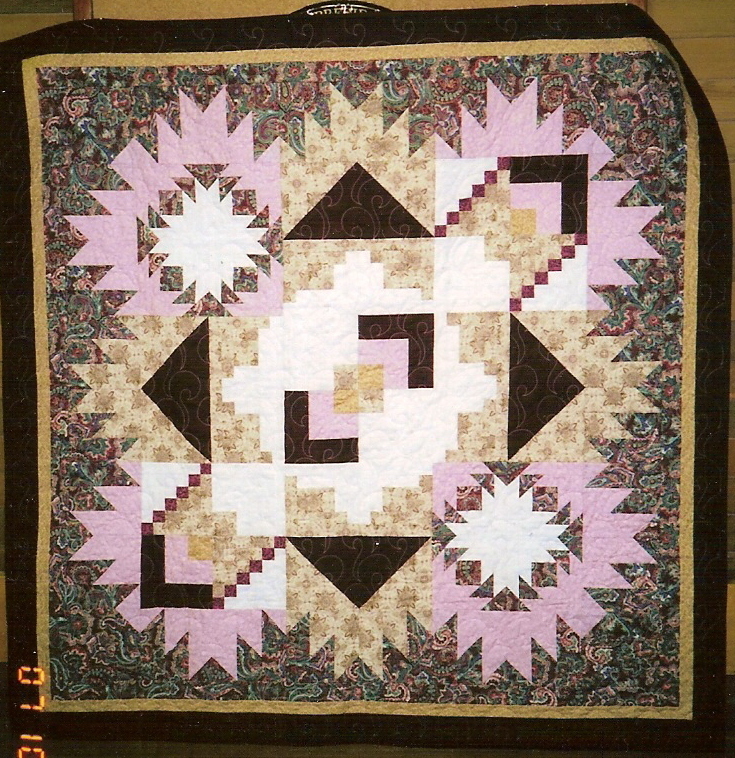 Well here is the second quilt I put together using the same blocks, but different placement. See how different they look? Same pieces different outcome. Oh... Here is the first one with the additional border added. Now that really was a challenge! And I think BOM's are hard when you don't know where you're heading! Wow,the borders really make the pink pop! With the narrower, inside border it brings out the gold (?) even more. Fun variations! I really like the composition of yout first one, what a beautiful lap quilt!